The basic difference between the two is that indigestion usually affects the stomach and heartburn the chest area. But there are other early symptoms that one should be aware of. Indigestion is marked by pain in the abdomen. The pain can be intermittent or last for a few minutes. The stomach may feel hard. Most patients will feel nauseous and belch frequently. Some experience vomiting. Usually fullness or bloating is felt. Some minor headaches may accompany the discomfort. 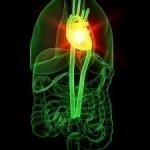 Heartburn feels like there is a burning sensation in the chest. It may course through the throat and around the neck. The pain can be quite severe but like indigestion is rarely serious. A trip to the doctor is necessary when the pain becomes chronic or due to medical complications. Diagnosis of indigestion consists of a physical examination and a series of tests. The tests will focus on the digestive tract. Various diagnostic tools will be used to check the abdominal muscles and look for any abnormal activities. The doctor will also ask a series of questions. Most of them will concern the diet as it is usually the cause. Additional exams will include an abdominal ultrasound, blood tests and an esophagogastroduodenoscopy. Doctors will evaluate the heartburn condition by performing physical examinations as well. Diagnostic procedures will include the upper GI series, an endoscopy and the esophageal motility. Some medications will be prescribed to help deal with the pain. Antacids are used to relieve the pain caused by indigestion. Among the most widely prescribed are omeprazole and ranitidine. Aside from medication, rest is also needed. Relief from stress also takes away the symptoms. There are also several over the counter drugs that can ease the pain. 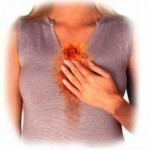 Heartburn is easily treated with over the counter drugs. Take them in the appropriate amounts so that no problems will come up. If you are taking other medications, consult with a doctor for the right medication. Stress reduction is also necessary for the treatments to work. Both ailments will also need a change of diet on the part of the patient. Indigestion can be prevented by chewing and eating food slowly. Swallow food in small chunks. Avoid fatty and spicy foods as these can upset the stomach. Coffee and sweetened drinks also trigger the symptoms. Salty foods can also cause pain. 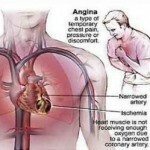 Some patients experience this pain when taking aspirin or certain antibiotics. Do not exercise after eating. Overeating must be avoided as well. Walking after heavy meals may help in digestion. Those tips are also applicable for heartburn. One should also shed some pounds if overweight. Smoking and heavy drinking also causes this problem, so they should be avoided. Tight fitting uniforms must also be avoided. Meditation helps reduce stress too. Consider practicing yoga or other meditative exercises. A lot of times, indigestion and heartburn cannot be distinguished. But knowledge of their symptoms is necessary. This makes it easy to know what medications should be taken.